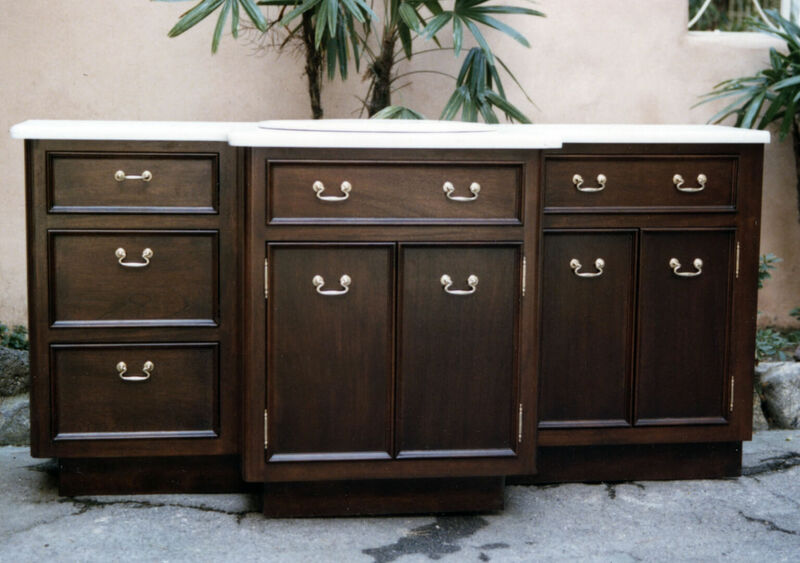 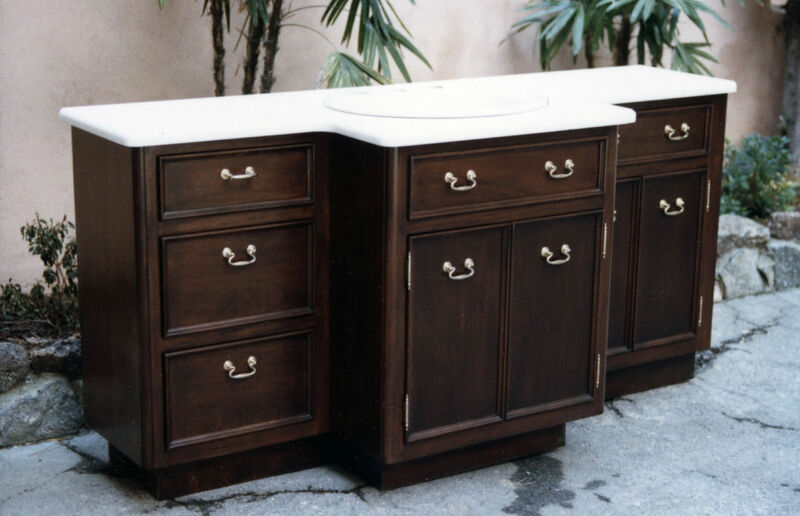 Traditional details meet faux stone in this commode built for a doctor’s family in Glendale, California. 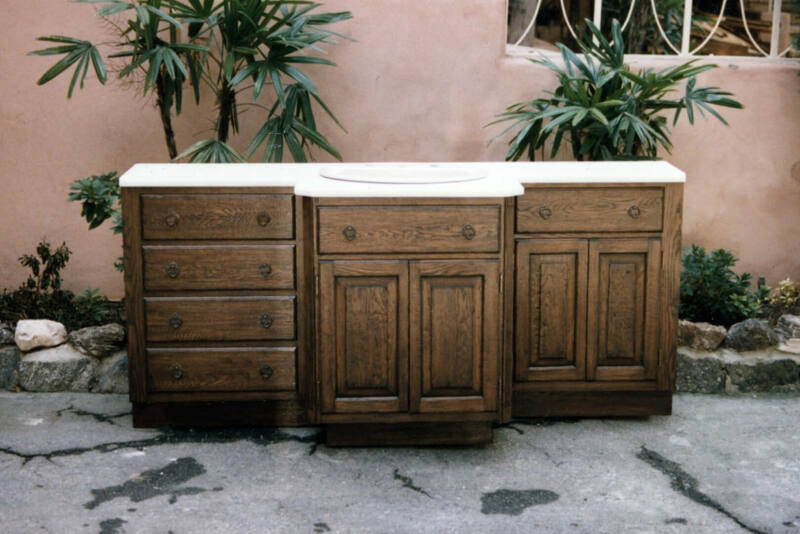 The commission included two commodes, one in mahogany and another in distressed oak. 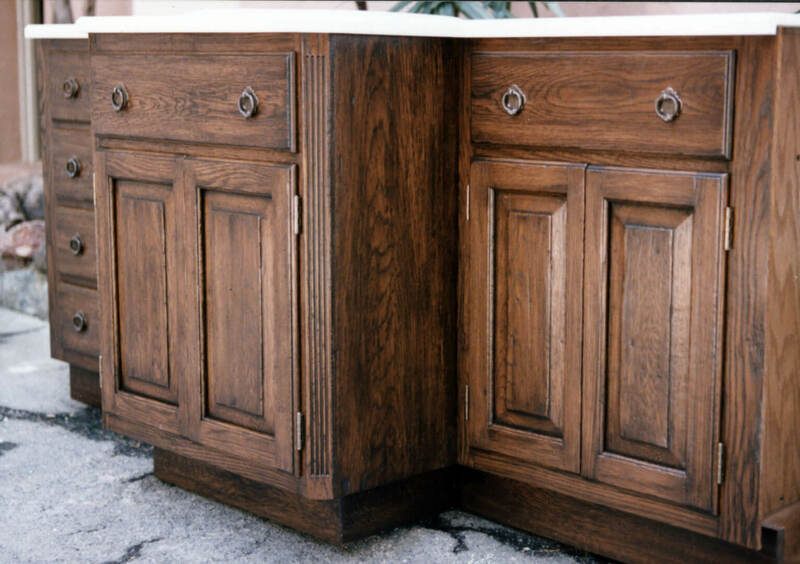 The second piece sported antique iron hardware, moderately distressed finish and fluted stiles set at 45 degrees to the front of the cabinet.